• Tour-chosen color scheme for enhanced alignment and confidence at address. • At over 8,500 MOI the DLL is incredibly stable, giving golfers better distance control on off-center hits. • Counterbalanced DLL is more stroke-stable based on overall club MOI values over a traditional putter. • PureRoll Surlyn insert promotes soft-yet-solid feel and a smooth roll straight of the face. 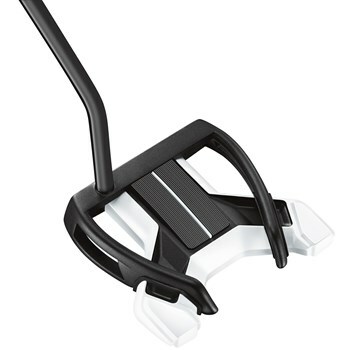 • 395 gram head helps counterbalance the putter to help swing the head smoothly and on path.